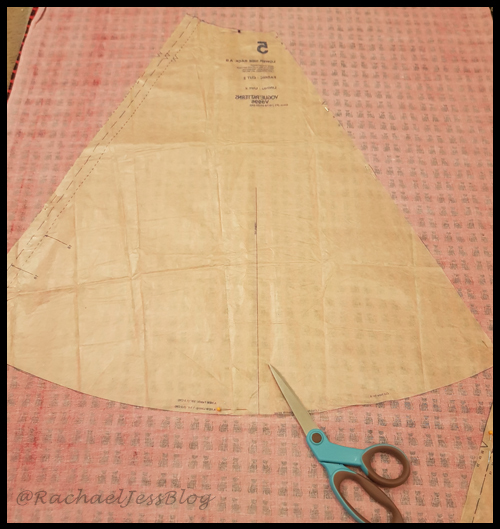 At the end of 2017, I made the decision to take a dressmaking course! It's something I've wanted to do for a while but I've always found an excuse not to do it, and in the meantime, continued to battle with my sewing machine! When January came around and the night before my sewing class, I went into Self Sabotage mode! I couldn't rest and didn't want to go, I felt ill and had decided that I was sick and not able to make the course!! So the following is what I wrote, I'm not entirely sure why I'm sharing THIS with the world, but it helped me. So if I can help just 1 person overcome their fears of trying something new then it's worth it! 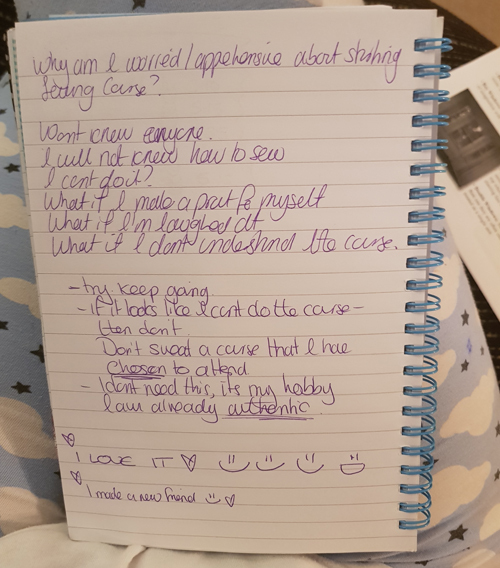 I wrote what was worrying me, how I could deal with each issue, and then the bottom couple of lines are what I wrote 6 weeks in! I loved my course, my tutor showed me how to read patterns, use a sewing machine and make a simple vogue dress. I love my dress. 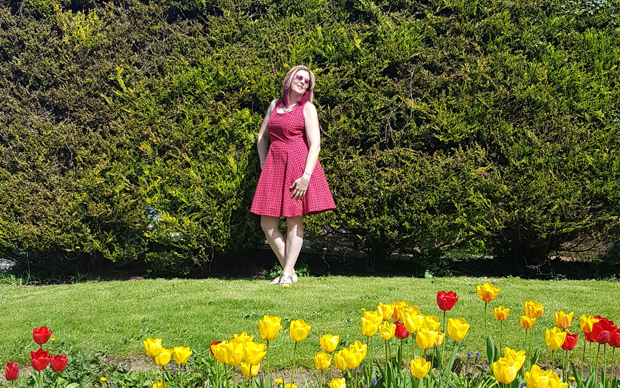 With my new found confidence in my sewing machine, I made a top from an existing item of clothing, tote bags and a top from a pattern, but what I'd been working on for months, a little each day first thing in the morning before work, was my TARDIS Dress. I made it!!!! I persevered. I nearly gave up on the Corset a couple of times, I nearly gave up on the whole dress, but I didn't. I took a break for about a week then got on with those awful eyelets! 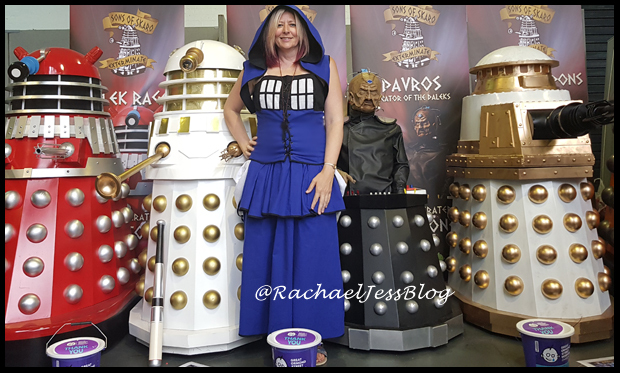 I pushed my issues to one side for one day and I wore my fantastic new TARDIS dress to London's Film and ComiCon convention - the year of the Doctors!! You really can accomplish anything you set your mind to. 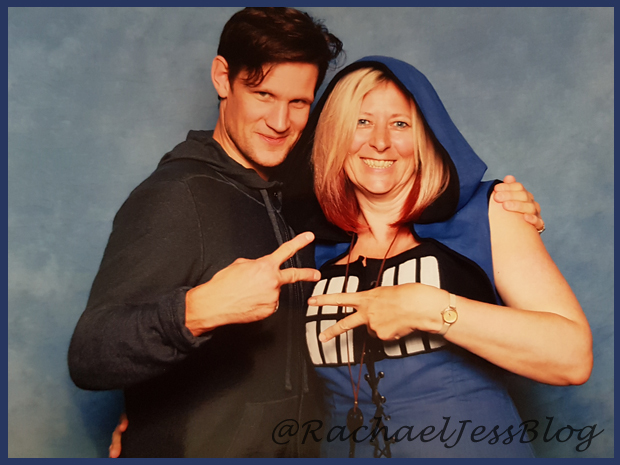 Oh, and Matt Smith said he liked it too!!! i feel so mega proud of you too! So often it is ourselves that is our biggest enemy when we are filled with self-doubt. I will remember you and THAT AMAZING dress next time i feel afraid of doing something new. I've showed just about everyone your dress on instagram. Next year you will need to take orders to make a tardis dress for everyone else who wants one - i will be first in line! Thank you so much for your words of encouragement Rebecca. I think being a perfectionist has helped with reading the pattern. I do love my dress and shall be wearing it at every opportunity.